Welcome to the October 2011 edition of the Using Mind Maps Newsletter; The Newsletter that helps you with using Mind Maps to be more successful. This month the focus is on translating information from Mind Maps to Linear Format and back again. This should be an essential part of your learning process, as the world is still largely a linear place. You could also download the basic edition of iMindMap, which is also free. iMindMap is the official Mind Map Software endorsed by Tony Buzan, the inventor of Mind Mapping, and creates beautiful, organic, colourful Mind Maps. 5 Reasons why writers should not use outlines Use Mind Maps instead! The Short Guide to becoming a person of action today Actions speak louder than words! While Mind Maps are the best invention developed for the human brain, the world is still largely a linear place. I therefore feel that the ability to convert between Mind Maps and Linear Notes is very important. While a Mind Map is the best tool for personal note taking, essays, blogs, novels, theses and examinations are largely linear affairs. Mind Maps will however allow you to brainstorm ideas and then structure your thoughts efficiently for each of these tasks. All that remains is for you to translate your Mind Maps into a coherent linear format. If you are taking notes from a linear source, such as a text book, or a lecture, Mind Maps can once again help you take down the notes and then restructure them into a framework that suits you. Mind Maps can even help you organise a book or lecture that is not well structured, as you can easily reorder the branches so that the ideas flow coherently. Does it not then make sense to practice converting from Mind Maps to Linear and back again? 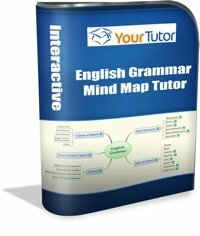 Luckily, Mind Map Software, such as Xmind or iMindMap allows you to do this much easier, as you can rearrange your Mind Map's branches effortlessly by simply dragging and dropping them into the correct place. The software can even generate a linear text document for you. You can generate linear outlines, or even complete documents. 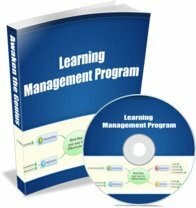 Our Learning Management Program gives you some more detailed tips on Note Taking and converting from Mind Maps to Linear Format and back again, but you can get started immediately by simply getting hold of the free versions of the software and start practising. With regular practise, you will get better at working between the two modes. The ability to convert between Mind Maps and Linear Modes is important if you really want to make Mind Mapping a part of your daily life, so that you can get the most benefit from both your creative, artistic side and your logical, analytical side of the brain. You could even add other visual methods like storyboards, corkboards, or outlining. Even though Mind Mapping is my primary method, I find that each of these has their place and benefits.